Wow what a weekend. 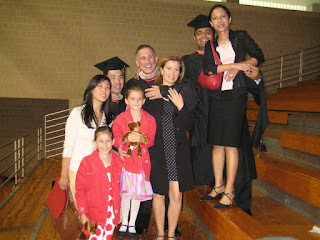 Drove up with my wife to cornell to attend the graduation ceremony. Finally done with two years of anguish going thru my MBA. It was so worth it. Photo below with some good friends and their families. End of the MBA ?